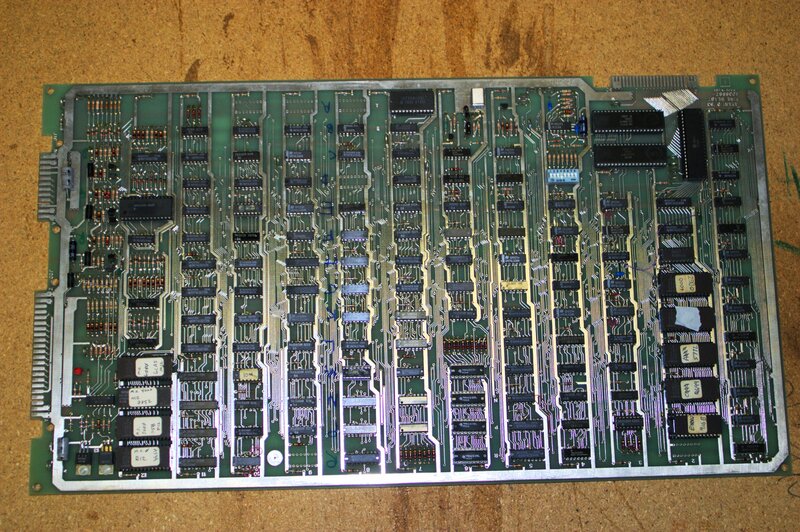 This is an unreleased Atari game dating back to 1983. It was made by Ed Rotberg and Peter Lipson. It was the only Atari game written in Forth. The game was inspired by Dragon Riders of Pern and was intended to be licensed. When the license effort fell through it became Fire Beast. 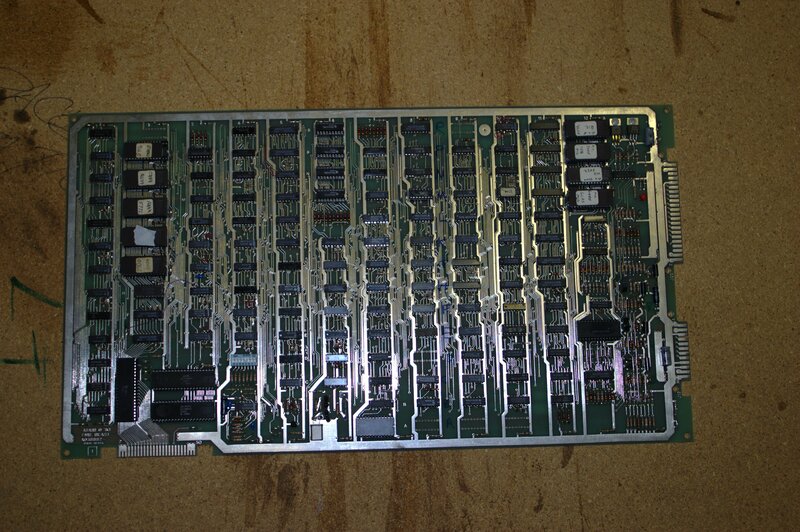 This cabinet resided in a Santa Clara, California, office building for years. It was functional until a few months before the business relocated. The author of this page did play the game during this time, and was able to help salvage it during the relocation. It was to have been discarded otherwise. Gameplay consisted of navigating a flying dragon past lightning bolts, using the then-new snake algorithm. The marquee was hand-drawn and called the game Dragon Master. 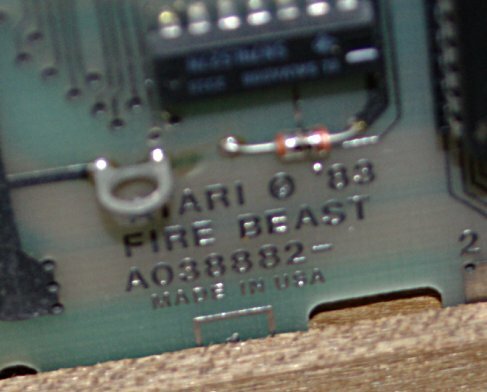 However, the PCB calls it Fire Beast and the cabinet clearly came from unrelated games. This is the second copy of the game presented online. atarigames.com went through a lengthy quest to locate their copy while ours was residing quietly in disrepair. 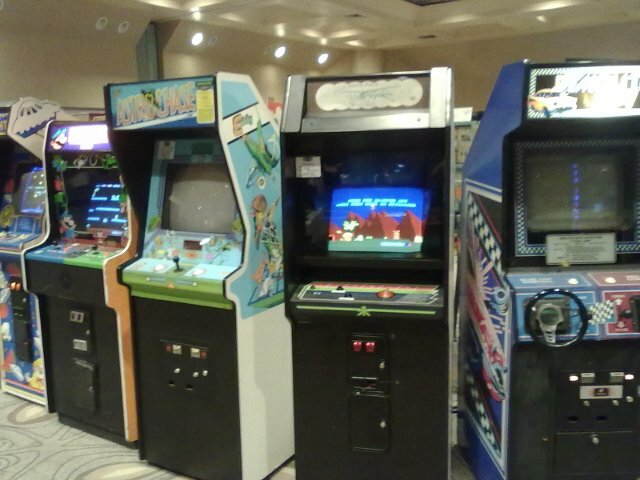 It debuted officially at California Extreme 2011. This game's cabinet has no unique artwork except for the marquee. The control panel has a trackball and two action buttons, clearly lifted from an earlier 1982 Atari game called Atari Force Liberator. 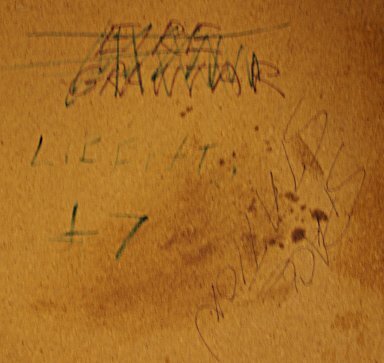 The cabinet door has obscure references--"Eire Gravitar" and "Space Station". 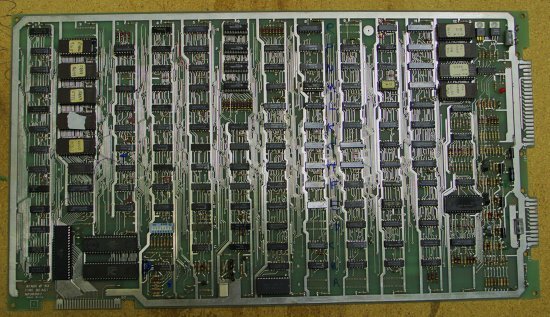 Perhaps this cabinet was used for a number of Atari prototypes over the years? 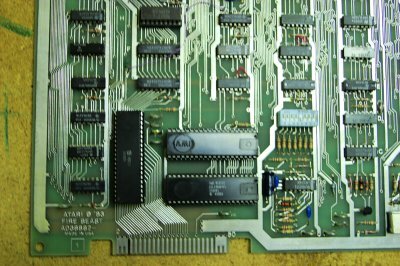 This game has a 6502A CPU and twin POKEYs. 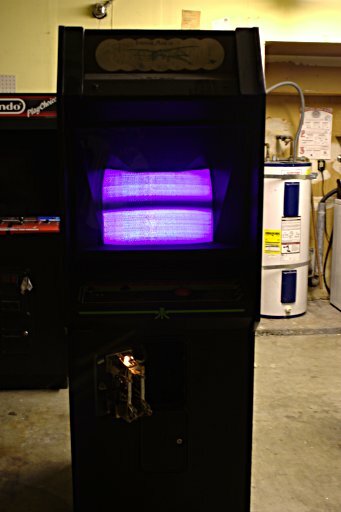 After numerous power supply repairs, controller repairs, and a new monitor, the game was unveiled at California Extreme 2011 where it performed admirably. 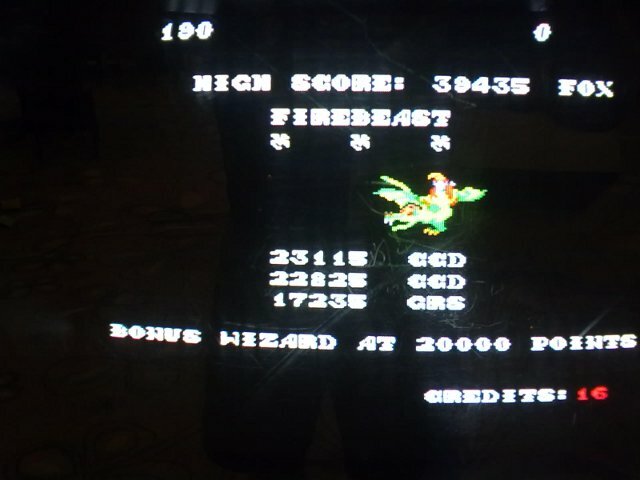 It did not hang at all, got plenty of plays, and even a fresh high score by yours truly. 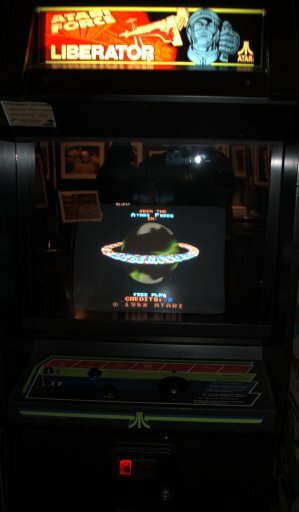 The atarigames.com copy of this game and also a copy of Atari Force Liberator were on display at California Extreme 2006. Better yet, Ed Rotberg was on hand to talk about it! So finally there is some more history known about this game. Here's a video clip of Ed recounting the game's history. (20 MB, XVID MPEG4 video, mp3 audio). If you have problems playing it, try nabbing the xvid codec or just trying vlc. 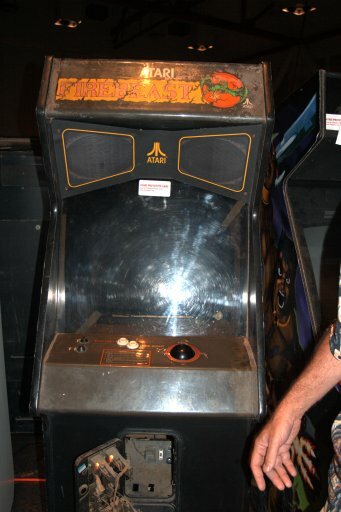 Our cabinet is likely one originally worked on or previously owned by Gary Stempler of Atari. 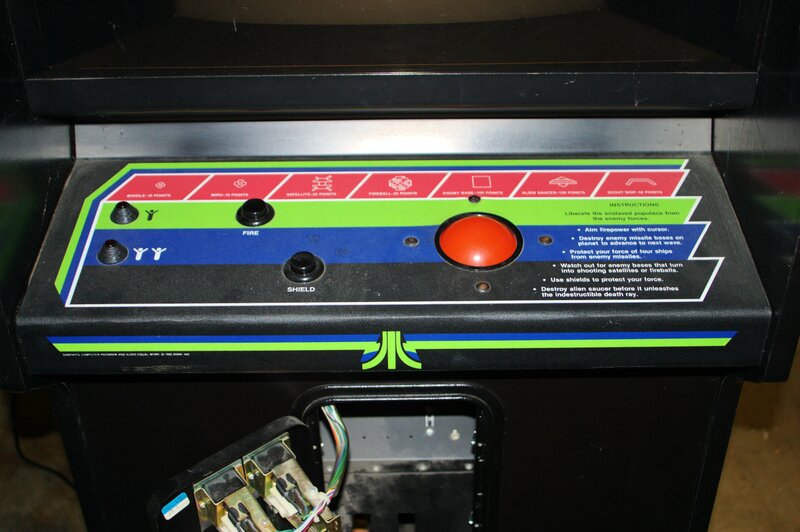 The atarigames.com unit has a different marquee and an actual control panel. Probably theirs is the finished cabinet after the Dragon Riders of Pern license fell through. Unsurprisingly, the game is buggy. It locked up trying to get to the space level.